Why Do We Need Tungsten Alloy Radiation Shielding? In order to protect patients, doctors, nurses and other people who may be exposed to radiation, sources of the radiation must be safely separated and shielded. It is crucial that holding and delivery instruments for radioactive materials would keep the radiation levels low enough, not to create harmful effects of ionizing radiation such as breast cancer, skin cancer, etc. Lead and steel are the traditional protection materials, but tungsten alloy radiation shielding is without a doubt the best solution. Excellent radiation-absorption and radiation shielding, twice the density of lead and good physical resistance are main reasons to use tungsten alloy radiation shielding. Experts find that radiation exposure could be reduced by maxing shielding. Tungsten heavy alloy is the right material for radiation protection, as its combination of radiographic density (more than 60% denser than lead), machinability, good corrosion resistance, high radiation absorption (superior to lead and steel), simplified life cycle and high strength. Tungsten radiation shielding can provide the same degree of protection as lead whilst significantly reducing the overall volume and thickness of shields and containers. Besides, compared with lead or depleted uranium (DU),tungsten radiation shielding is more friendship for the environments both lead and DU for it is no any toxic. 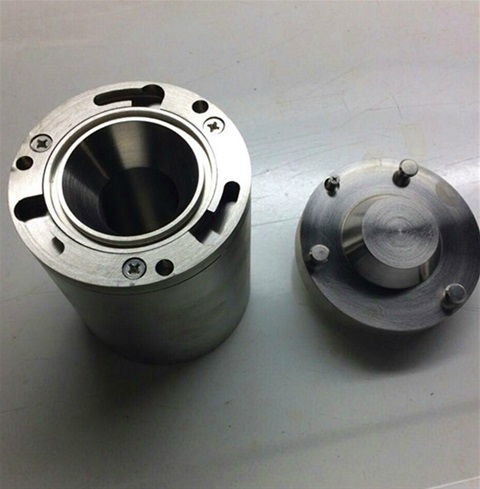 The usage of tungsten heavy alloy in radiation protection is not subject to NRC, EPA, or special OSHA regulations, so it has been widely used in nuclear medicine as collimator, isotope container, cancer treatment source holder, etc.